One of the most talked-about documentaries of the year hasn't even released yet. HBO's forthcoming "Leaving Neverland" examines disturbing claims by James Safechuck and Wade Robson that Michael Jackson sexually abused them over a period of several years when they were children. Jackson's family released a statement Monday condemning the film. "Michael always turned the other cheek, and we have always turned the other cheek when people have gone after members of our family - that is the Jackson way," the statement said. "But we can't just stand by while this public lynching goes on, and the vulture tweeters and others who never met Michael go after him." At the age of 10, Safechuck, now 40, appeared in a Pepsi commercial with Jackson and said he was also a frequent visitor to the singer's home. "I never forgot one moment of what Michael did to me, but I was psychologically and emotionally completely unable and unwilling to understand that it was sexual abuse," Robson said during an appearance on the "Today" show after he filed suit in 2013. On Sunday, "Leaving Neverland" director Dan Reed responded in an interview with USA Today to an earlier statement from Jackson's estate which stated: "The film takes uncorroborated allegations that supposedly happened 20 years ago and treats them as fact. These claims were the basis of lawsuits filed by these two admitted liars, which were ultimately dismissed by a judge." "It's pretty much what you'd expect them to say," Reed told the publication. "They obviously haven't seen it, and I'm not engaging with the substance of what they're saying." In 2003, Jackson was charged with seven counts of child molestation for allegations from a cancer-stricken boy invited to the singer's home. 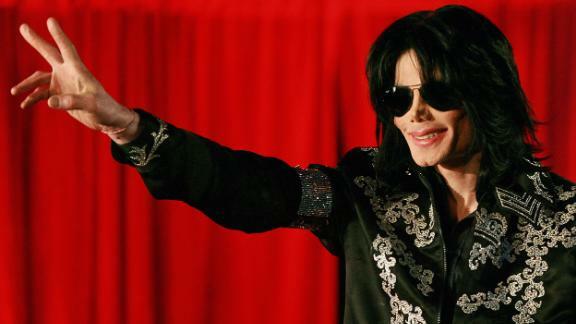 Critics who attended the four-hour "Leaving Neverland" screening last week described the film as "devastating." "Michael Jackson fans are heavily educated on all the allegation cases, we're not apologists or blindly supporting him," one person tweeted. "We're going out of our way to support an innocent man who isn't here to defend himself, in an era where falsified victim claims seem to be rendered non-existent." At a Q&A session at the "Leaving Neverland" event, where its subjects and filmmaker reportedly received a standing ovation, Robson said he understood why some of Jackson's fans would doubt his account of abuse. "Even though it happened to me I still couldn't believe it and I couldn't believe that what Michael did was a bad thing, so I understand, " he said, according to a Deadline report. "We can only understand and accept something when we are ready," Robson concluded.